DGS has invited applications for the posts of marketing and sales professionals in its Lahore and Karachi contact centers. You can earn up to 200000 rupees per month. Delta Global Services is an American online marketing provider company, which offers specialized solutions for the telecommunications industry. Delta Global Services is building its network in Karachi and Lahore and for this purpose company is recruiting many professionals in its Lahore and Karachi contact centers. 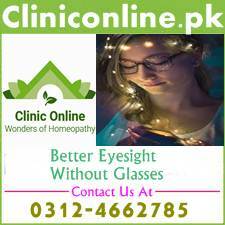 Currently about 500 professionals are working in the company’s Lahore and Karachi offices. 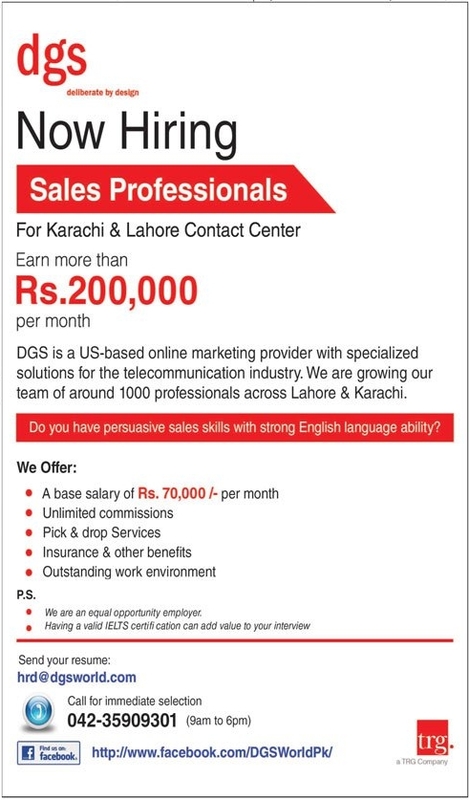 If you have excellent sales/convincing skill and strong background in speaking English language then apply with confidence for DGS jobs. Selected candidates will be offered basic salary of 40000 rupees per month. Company will provide free pick and drop services to all the employees. Insurance and lots of other fringe benefits. Interested candidates are encourage to call immediately on the following phone number between 9 AM to 6 PM for instant interview and selection. Note– Candidates with valid Ielts certificate, will be given preference. So if you have persuasive sales skills and good English speaking skills then apply immediately for these marketing jobs. Details about DGS jobs are also available in the newspaper ad cutting below this post. 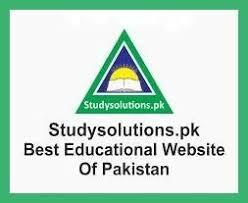 Visit your own website and its face book page for latest alerts about DGS jobs. We have written many articles on best job search strategies. You may like to read our following guiding articles on the same topic. Wish you best of luck. Latest ad is expected soon.